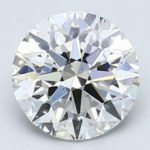 Blue Nile vs. James Allen - Who's the Best Online Diamond Retailer? TL;DR Blue Nile is catching up but James Allen is still our preferred online retailer. 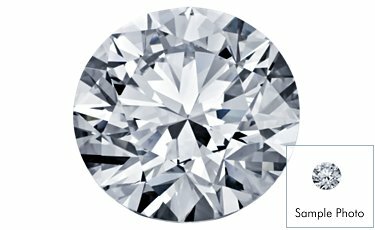 Cleaner selection of stones and better diamond images. Most of our readers buy from James Allen. Search our pre-filtered set of James Allen stones for the best stones. When it comes to purchasing a diamond online, shoppers are faced with the dilemma of finding the best online diamond retailer to purchase from. In this Blue Nile vs. James Allen review, we share in-depth knowledge about two leading players in the online diamond industry to help you make the best choice. Both Blue Nile and James Allen are large established companies with a strong online presence and an inventory of diamonds in the thousands to select from. The decision as to whether to buy from Blue Nile or James Allen is made more complex by the sheer number of equally positive Blue Nile reviews and James Allen reviews scattered across the web. We send our readers to James Allen primarily for two reasons: Exceptional Customer Service and Total Purchase Satisfaction. Because buying a diamond ring can be a bit nerve racking, we like knowing we’ve got all our bases covered. After all, you may be spending thousands on something the size of a (very shiny) pebble and so nothing should be left to chance. James Allen does an unparalleled job at offering diamond buyers with an exceptionally high level of customer service from pre- to post-sales and combines that with an outstanding satisfaction guarantee, bar none. Both these things gives you control in your diamond purchasing experience and in turn offers the best shopping experience possible and likely to turn you into a repeat customer. Though not the only two online diamond vendors offering exceptional cut gemstones at amazing prices (see our list of recommended diamond vendors), Blue Nile and James Allen are the two big players and the first names that come to mind. 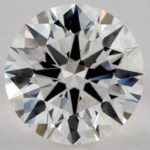 Other vendors such as Brian Gavin Diamonds and Whiteflash (amongst many others) provide similar pricing to Blue Nile but provide other valuable resources (ASET, IdealScope, etc) that really help you as the buyer know exactly what they are getting and hopefully help you get a fair value for that diamond. Everybody starts off by thinking about the diamond ring. From there, you need to figure out what her ring size is. Thankfully, both Blue Nile and James Allen provide free sizing tools – Blue Nile in the form of a plastic sheet ring sizer and James Allen in the form of a plastic zip tie plastic zip tie. Both are available via online request are and delivered free by mail. For those looking for a little more haste, a downloadable version is also available from both websites. Now, if your engagement proposal is intended to be a surprise, then discretion is the key. Nothing ruins a surprise like your browser search history. Enter your mobile phone to the rescue. Looking for the perfect ring on your mobile phone is both subtle and clever. Blue Nile and James Allen understands this which is why both offer a mobile phone app, though only Blue Nile supports both iPhones and Android phones (James Allen is limited to iPhone). Blue Nile’s support for both phone platforms puts it ahead of James Allen when it comes to pre-sales service, though just marginally. Here’s where James Allen starts to pull ahead of the competition. It’s inevitable that during your shopping experience you’ll have questions. James Allen offers more ways to get those questions answered than does Blue Nile. Both offer the usual channels of communication – email, phone and online chat. One caveat is that Blue Nile’s online chat is only available from 11Am to midnight which may prove inconvenient to those shoppers who can only diamond shop after their fiancé-to-be is asleep. Conversely, the James Allen online chat is available 24/7. James Allen takes customer service a step above and offers two additional means of communication – a call back service (where a James Allen representative will call you… handy if you are charged for long distance) and response via letter mail. Although writing letters is a dying art (save to Santa), we especially liked having that final option and took note that any company still willing to offer this service is going to great lengths to look after ALL their customers – even the ones who still write. When you pop the question and pull out that sparkling piece of hardware, presentation will count for a lot and could earn you some serious brownie points (remember that guys)! This is why both Blue Nile and James Allen, in keeping with tradition, offer elegant wooden presentation boxes AND ring engraving. For the extra touch of engraving, rings can be etched with 3 styles of engraving as offered by Blue Nile at a cost of $25. Although James Allen only offers 2 styles of engraving, the engraving service is provided at no cost. When we shop, we like options. For payment of your new diamond engagement ring, both vendors offer several options with only a few differences. Both take Visa, MasterCard, AMEX and Discover. If you have a JCB or Carte Blanche card, consider going with Blue Nile as only they accept it. Though perhaps not as relevant, unless you have very generous friends, Blue Nile accepts gift cards for the payment of diamond rings. Blue Nile and James Allen both accept Paypal, Google Checkout, payment using multiple credit cards (by phone only) and money wire (which will net you a bonus 1.5% discount on your purchase) but only James Allen offers payment by cheque/money order. For obvious security reasons, cheques are held for 10 days. Buying now and paying later is always a great choice for anyone thinking big without the green to back it up. Financing is offered by both retailers with James Allen offering a 6 or 24 month term and Blue Nile offering a few more longer term options. A great online diamond shopping experience mimics a great offline experience. Nothing trumps walking into a jewellery store, being shown a series of loose diamonds under loupe (and other grading tools), observing the inclusions and light performance and selecting the best diamond from the lot. Buying a diamond online traditionally required a leap of faith as you couldn’t see or examine the diamonds itself. Similarly, not all SI1 diamonds are created equal and so buying one without seeing it is a considerable gamble. This is where James Allen really stands out and why The Diamond Advisor recommends them to our followers. In an innovative step that bridges the online shopping experience with the experience you would receive in a jeweller, James Allen offers its “Virtual Loupe” – a 360° diamond viewer that allows you to see what a jeweler would see under magnification. Diamonds available online at the James Allen website include a REAL photo of the diamond whereas Blue Nile only offers a “sample” image. Having a real diamond photo allows you to see the internal characteristics (symmetry, inclusions, etc) of each loose diamond. This is a huge advance in letting you select the best “eye-clean” diamond – something that simply wasn’t possible using a diamond’s paper description alone. With this feature, you the shopper can select several similarly priced diamonds and visual inspect each one for symmetry, presence, type and position of inclusions and make a decision online as to which diamond best suits your need. Need the advice of a trained gemologist to help make a decision? That’s not a problem either (read on). One crucial aspect to understanding Blue Nile vs. James Allen is that James Allen does not drop ship their diamonds, as is the practice with Blue Nile. With the exception of their “Signature Ideal” diamonds (which are in-house stones), Blue Nile carries a “virtual” inventory which is simply a large list of diamonds available at third-party diamond providers. When a diamond is ordered, it is packaged according to Blue Nile standards and sent directly to you from where it resided. From a business point of view, this is a great practice as Blue Nile is able to access a larger inventory without the associated overhead of storing loose diamonds (cost savings are theoretically passed on to the customer). The downside to this practice (from a customer point of view), is that diamonds are not available in-house and thus not able to be compared by a trained gemologist. All the diamonds within James Allen’s inventory are exclusively for sale by James Allen. What this means is that an on-site gemologist can physically select the diamonds you are interested in, personally examine them, and provide you a recommendation on which diamond to select. This is simply something that is not possible at Blue Nile. In addition to this, and though not publicised on the site, ASET images (up to 3) and IdealScope images are available on requested from James Allen to provide you better insight into how a diamond performs and which is best. When dealing with very similar diamonds, these additional images can help you know exactly what you are buying and how it will perform, in turn helping you get a fair value for that diamond. An ASET image shows how a diamond handles and returns light (to our eyes) and is a valuable tool in helping differentiate two similar diamonds. An ASET image is a combination of red, green and blue areas with red indicating bright areas of the diamond, green indicating indirect light return and blue indicating dark reflections. Seeing truly is believing and at The Diamond Advisor, we ALWAYS recommend seeing what you are purchasing whenever possible. It is for this compelling reason that we endorse James Allen as the best online diamond retailer. After-sales service speaks volumes about a company. A great first time experience will often entice buyers to become return buyers. This is what James Allen is counting on with its exceptional after-sales service which is again one notch above Blue Nile. Blue Nile offers a 30 day return policy but you should note that the return policy comes with several limitations, namely shipping. Customers must ship their ring back (at their own expense) to Blue Nile for a full refund less any engraving cost which is non-refundable. On the other hand, James Allen offers a longer return policy at 60 day with absolutely no restocking cost. Better yet, return shipping is paid for by James Allen and returns are offered in full at 100%, no questions asked. When purchasing with Blue Nile or James Allen, a high level of satisfaction is the norm. Although it’s very unlikely that you’ll be disappointed with your diamond ring and return your purchase, having the option of a full refund (return shipping included) is just another compelling reason why James Allen stands out over Blue Nile as the best online diamond retailer. Online retailers go to great lengths to protect your information. First off, privacy. Being no stranger to ecommerce systems and information technology, I always chuckle when people question the safety of shopping online. Knowing that your data is often de-identified, encrypted and processed by some of the largest names in online security as part of the shopping transaction, I can say with authority that online shopping being safe is an understatement. While online retailers have done their part to protect you data, make sure you’re doing your part too. When buying online, make sure your computer system is up-to-date and that you’re buying from a secure location (i.e. not a free wifi and not a public computer). Taking common sense safeguards helps you ensure a worry free online experience. Now to the shopping experience, it should go without saying but online shops go to great lengths to ensure an EXCEPTIONAL customer experience. Nothing less. It all starts from the pre-purchase experience and the impressive ability to see diamonds in 360, in different lighting conditions, and the ability to magnify your stone to inspect the smallest of details. From there, online retails provide you with an wide selection of settings to match your personal tastes and style. As in industries like real estate and financial advisors, reputation is everything. Happy customers refer other customers and so online retailer aim to provide exception customer service pre- and post purchase. Readers who have made a purchase often write back to us thanking us but also to share how impressed they were by the whole experience. In short, as a reader, you can be assured that an exception shopping experience and customer service is part of the journey. Absolutely HORRIBLE experience with James Allen! Canadian Buyers BEWARE!!! I am quite savvy to online shopping and these guys are smooth so thank goodness I wasn’t in a rush although I was definitely ready to buy. They act concerned and sincere but just pawn you off to the next sales person and hope to make the sale. READ THESE REVIEWS BECAUSE THEY DELETE ALL NEGATIVE ONES OFF THEIR WEBSITE! Twice I had diamonds “reserved” for me while their gemologist inspected them, after being told they were eye clean, I was told by another impartial expert that was not true which didn’t matter anyway because somehow they both were sold while they were on reserve for me??! Then, after speaking to 7 different consultants (as the same person never gets back to you) and finally choosing another diamond because I was determined to believe their advertising and save some money… the order was emailed to me for review and look at that, just as others have experienced, the diamond was suddenly listed over $1600 more than it was on the site and quoted to me the day before. The consultant couldn’t seem to remember the price she quoted me and couldn’t find the price anywhere. She couldn’t explain how I carefully documented this information and tried to chalk it up to the dollar conversion, which is just ridiculous. Nor were they willing to listen to the “monitored for quality assurance” phone call to confirm their quote. I requested a manager call me and spoke to Josh Cales. He basically pointed out that their “fine print” states they can refuse to honour the price??! Hmmmm interesting they feel the need to put that in writing but apparently that happens quite often according to other reviews. Anyway, don’t believe the hype… their customer service is awful and the whole experience confirms why one needs to do their homework and shop around. You really do get what you pay for!! Thanks for sharing your feedback and sorry to hear you had such a negative experience. Most readers who write back (either in this forum on directly to us) usually share how great their experience was. So, I hope this was an isolated experience (as bad press is never good for anyone) and that you were able to at least get an apology. In regards to the stone “reserved” being sold… how long passed from the time you put it on hold to the time you found it was sold? And the impartial expert you mentioned, can you share some details around that? It would be great if you could share a link to the actual stone so that our readers could also form their opinions. Thanks again for sharing! I hope in the end you were able to find a stone you were happy with (from one retailer or another). Updated this diamond review post with some helpful information on tips to safely buy online and what to expect in terms of shopping and customer experience! I absolutely disagree with this conclusion. The stone fell out of my engagement ring after 4 months of wear (and suffering no trauma). I took it to a local jeweler to get it re-set and they told us that the ring cut and setting were completely incompatible and that this would be a recurring issue. Why would James Allen recommend, set, and ship the ring without even bringing this problem to our attention? We contacted James Allen and they recommended sending the ring back to them so that they could assess the issue. Gladly. Well, after two weeks, my ring is back in my possession, it’s exactly the same, and I have yet to hear anything from James Allen customer service regarding the problem or the solution. To anyone looking for a ring, look elsewhere. James Allen is clearly only looking to make a buck without even considering the sentimental (and monetary) value of their product. Sorry to hear about your experience. Can you share what setting and what cut you had? We ordered a loose diamond off of james allen and when we first decided to hold it, we requested ASET and idealscope images. The customer service rep said they would not be able to do it because it was not in their NY office location. So then we decided to buy it anyway because we liked the specs. After the wire transfer, there was no more communication; she never sent an email stating what we should expect with shipping and such. We had to reach out two days after, five days after and a week and a half after asking about expected shipping date, why there was a delay, etc. They ended up getting the estimated ship date wrong. We had to find all this out by reaching out to them, by the way, not the other way around. The last time we reached out to them the diamond had just arrived at their office and was going to be shipped out the next day so we took that opportunity to again ask for ASET and idealscope images, just to see. The customer service rep we spoke just said that it wasn’t possible and when we asked why she simply stated that it was against company policy. Maybe the online chat service is just not up to par because both times the service was not the most helpful and professional. I suppose the point of my comment was to let you know that customer service was very much lacking in my experience and that they do not provide ASET and idealscope images upon request. I’m hoping that this was just a two-time thing (with two untrained customer service reps, perhaps?) because I’ve only read great reviews and tried to stay positive throughout the experience. It was just not what I expected. The packaging and diamond are beautiful though, on the plus side! Thanks. I had the same experience when I requested an ASET and Idealscope, they said that it would take 3-5 business days. After a few days I heard back from them saying it was not possible has they didn’t have the right equipment? I thought that was strange, and wasn’t very impressed. It is very useful to read those information. I am not very happy with James Allen since I live in Ireland and the shipping cost+taxes+duties may reach a considerable percentage of the entire cost. For a 2k engagment ring, I would pay more than 400euro of taxes and duties for shipping outside of US. Bluenile provides Free shipping in most of the countries in Europe, that means whatever you see at the checkout step of your purchase, that is the money you will pay, nothing else. The shipping policies are not very clear on JamesAllen website as confirmed by one of their customer service staff. I am still not sure I will buy my engagement ring online, however I think the info I provided would be helpful to everyone else. It would appear that James Allen charges a significantly higher price for similar settings. Is there a good reason for this?? The difference in price for similar settings between retailers could be from any number of factor – overhead, cost of inventory, cost of staff, geographical location. Though my best guess would be what I refer to as “lifetime customer service”. James Allen offers a lifetime warranty on it’s jewelry which covers services like cleaning, polishing, prong tightening and rhodium plating (you pay a small amount for shipping). All of these services typically good to do every now and then are are typically paid out of pocket at other retailers. Though the cost of these services isn’t much, it does add up over the lifetime of your jewelry. This is most likely factored into the cost of the setting at James Allen. You can check out more details on their page: http://www.jamesallen.com/faq/ (search: lifetime warranty). Lifetime warranty is all good but If you don’t live within the USA it can be very expensive. Ive looked into shipping via royal mail, it will cost me £120 just to send my ring from UK to have it service. Does anyone have any experience / thoughts on Ritani.com? Saw an ad on TV, decided to check out their site. When I compared the prices of some diamonds vs Blue Nile, Ritani was considerable less. Wondering if this translates to their service and validity? Hi Mike, unfortunately I’m not familiar with Ritani. I’d recommend you check out some online reviews (i.e. vouch.com) to see what others are saying. Cheers! I had a terrible experience with Lumera Diamonds. Like many people, I was reluctant to buy a diamond over the internet, but found a diamond that looked good on paper with Lumera for an ok price and took the plunge (the diamond wasn’t cheap – 2.05 carot, F, VS1, so U.S.$25,000). Many of my friends thought I was crazy to buy off the internet, but I did so after researching the type of diamond I wanted, cut/clarity etc, so felt ok about it, especially with Lumera’s 30 day guarantee so took the plunge, also ordering at the same time their basic ring setting for U.S.$299. How wrong I was. The diamond turned out to be incredible ugly with hardly any shine (and bear in mind, while GIA don’t rate cut for non-round diamonds, this was rated excellent excellent for polish and symtery and Lumera rated it excellent for cut). I should have been suspicious when, because I am overseas, I couldn’t even speak to an operative. Anyway, I emailed Lumera within a few days of receiving the diamond telling them that I wasn’t happy and saying I wanted to return it. I was aware, from their website that I wouldn’t be able to get a refund on the setting, which made sense to me given that it was custom, but was ok with losing the U.S.$299. However, I was in for a shock when I tried to return the ring. I was told that they couldn’t take the ring back (despite the fact that all I wanted to do was return exactly what was provided to me), only the diamond itself. This mean that I had to somehow find someone to take out the diamond for me, which was difficult because at the time I was in the Rockies (proposing) and there wasn’t a jeweler there that could do it within the timeframe. Eventually, Lumera agreed that they would allow me to send back the ring exactly as I bought it from them, but they would charge me U.S.$900 to remove the diamond from the setting (despite the fact that they only charge U.S.$299 to put the ring in the setting (and for the setting itself). The long and short of it, by the time we had this constant too and throw (since I was also on holiday in Canada proposing), the 30 day period had expired (I note in this respect a number of other online retailers give you 60 days) and Lumera wouldn’t do anything. I even offered to exchange it for a higher value diamond, worth at least 20% more (I simply just hate the diamond and want to be rid of it and my finance also isn’t impressed with it – which is disappointing given the money I have spent), but to no avail, the only thing Lumera offered was that they could sell it on a consignment basis for U.S.$18,000 (so I would lose U.S.$7,000). I have found a jeweller here who will buy it from me for U.S.$20,000 as a part exchange, but that still means I would have lost U.S.$4,000, which I think is what I am going to do as really unhappy with the ring provided by Lumera and it seems that I have no other option. Sorry to hear you had such a bad experience. Thanks for sharing it with other readers. The only thing I can recommend is to continue to reach out via social networks to increase visibility into your experience. Online retailers value their reputation and will usual go out of their way to make things right and continue to bring in new customers. Try Lumera’s twitter account to get some traction. I wish you the best of luck in getting full resolution. Thanks again for sharing. I definitely did not import the diamond irregularly and don’t know how they got that from my post above (apart from saying that I was overseas – which they knew before I even placed the order with them and make it clear on their website how to complete a post if you are overseas). Also, I am not sure where in the US or UAE law it says they need to inform UAE customs. In any event, I complied with all UAE customs requirements for personal goods when coming back to the UAE and hopefully USA customs (I can’t imagine there are restrictions about buying items in the US and then taking them home with you). Luckily I am a lawyer, so had checked the requirements beforehand and wasn’t going to run and delete my post simply because of this email . However, this response from Lumeria is frankly incredible, I am still a little gobsmacked. Anyone considering Lumeria, particularly if they are overseas (and particularly in countries such as the UK which may have heavy import duties, even for personal goods), I would just note that, while Lumeria are happy for you to order from them, if you are unsatisifed with the customer service and give them a bad review, this is the response that they will take. I have been looking at loose diamonds online and Lumera was one that came up in my search. I was leaning towards James Allen for all the reasons stated in the article but Lumera seemed to have better pricing. After reading your experience I will stay clear of Lumera. I thought I’d let you know that you are wrong that Blue Nile does not accept Google Checkout. They do accept Google Checkout as a payment method. Thanks for the update, Danielle! I’ll update the article so that our readers know! After researching the various online engagement rings options I opted for James Allen. I ordered a nice 3 stone engagement ring and at the time of order – and this was a deciding factor — they stated it would be ready in a week. I then stupidly planned a weekend getaway two weeks out to present the ring.Then a week went by and when I went to check the order, it was pushed out another week. So I contacted them and they offered to expedite the shipping and overnight the ring to me to arrive on a Saturday morning, 13 days after my order. They made it sound like it was a priority for them to make it right, which I appreciated, so I made a lame excuse to my girlfriend to delay our trip by a day, but when the shipment notification came I saw that they had shipped it Standard, to arrive 3 days later, not next day. So now I am sitting here on a Saturday with no ring and a busted plan. James Allen IS all about romance but not in the way I thought: they screwed me twice. Once when they gave me the incorrect order turnaround time when I purchased the ring, and again when they said they were going to ship it overnight, and didn’t. In my last online chat with their (apparently) offshore support staff, they asked me if I was going to be around on Monday to receive the shipment late, or if not, they could have it rerouted it back to them. Really? This is the option they come up with? After waiting over 2 weeks for an order that was originally going to take a week? This floored me. Do they think they are in the office supplies business? They apparently don’t know or don’t accept that they are taking on a much greater trust when someone chooses to do business with them. I am giving them a bad review because of the horrible customer service and the misdirection. If I had known it was going to take two weeks or more in the beginning I could have planned accordingly (and yes, I might have gone with blue nile or another vendor). Had I to do it over again, I would avoid James Allen like the Plague. While there isn`t much you can do proposal wise, I would certainly recommend contacting James Allen customer service to share your honest feedback. Perhaps they can compensate you in some way. As you can imagine, diamond retailers are all about reputation. With online diamond retailers this is even more the case. Bad experiences such as yours means bad PR and lost sales. I would assume that Customer Service would do everything they could to right their wrong and end your experience on the positive side. Just a thought for other gents in a similar situation. Borrow a ring from a store (i.e. ring with CZ). Your fiancee to be will understand! Thanks for sharing your experience! Best of luck with your next plan. One thing to remember is that most retailers have very strong return policies (30-60 days) so regardless of which payment method you use, you’re well covered.